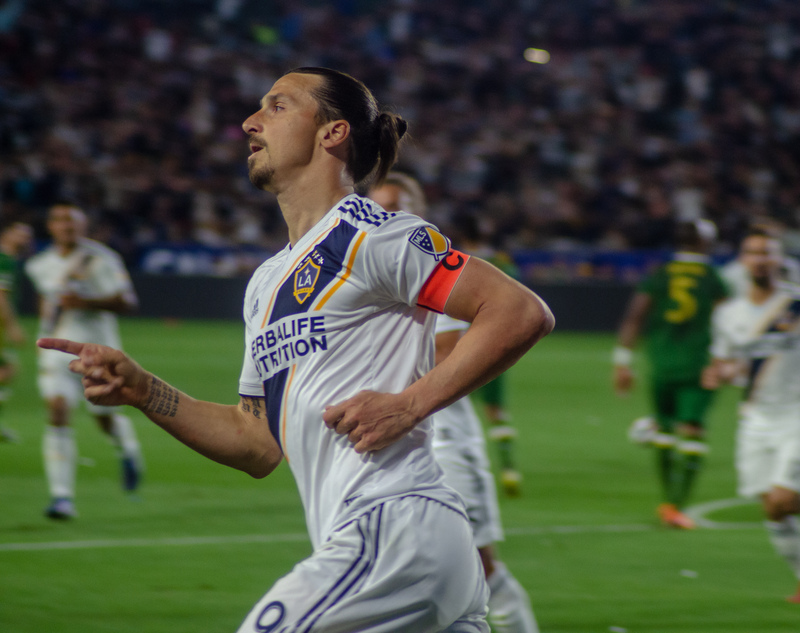 Last night while the La Galaxy celebrated Firefighter Appreciation Night at thDignity Health Sports Park, Zlatan Ibrahimović fired two shots into the net to give the Galaxy a 2-0 victory over the Philadelphia Union. The Galaxy ended Philadelphia’s three-game winning streak and increased their winning streak to four. It may sound repetitive to my previous Galaxy stories, but that is because the team continues its undefeated-at-home streak. LA Galaxy head coach Guillermo Barros Schelotto said the team is finally playing in synch, with everyone understanding their role. In minute 22 of play, Philadelphia franchise player, Marco Fabian, was subbed out due to an injury. “Galaxy was sharp today and I don’t want to take any merit from them but when you don’t have your best player [Fabian] the full 90 it affects you,” said Philadelphia Union head coach Jim Curtin. Minutes later, Jorgen Shjelvik put the ball in the box and Zlatan with a header put it away, giving the Galaxy the lead 1-0 in minute 27. In minute 31, Zlatan was brought down inside the box and t awarded a penalty kick. But there was still doubt in the air, and the main official, David Gantar, revised the play in the VAR (Video Assistant Referee). After the revision, the referee confirmed the penalty. Zlatan from the spot found the back of the net for the second time extending the lead to 2-0. Zlatan is now the third in the goal scoring table with six and is currently on a four-game scoring streak, every game he has played this season he has found the back of the net. In the aggregate of the first half Joe Coronas thought he had his first MLS goal but his scream of goal was silenced as the official marked a foul from Zlatan inside the box. Minute 76, Auston Trusty saw his last minute on the pitch as he was sent off receiving his second yellow of the game. In the final minutes of play, the fans went wild as Juninho, who after four years of absence returned to the LA Galaxy, finally stepped on the Dignity Health Sports Park pitch with the white and navy. You could hear the fans chanting “Ju-Juninho-Ju-Ju-Junhino.” Juninho returned this season but was sidelined due to an injury. In his first stint with the Galaxy, between 2010 and 2015 he made 192 appearances and registered 16 goals. But he is known for his calmness with the ball in his feet. Head Coach Schelotto said Juninho will help the team a great deal, whether he does it as a starter or coming off the bench. Up next the LA Galaxy will host Houston Dynamo on Friday April 19 as they search to increas thier winning streak and maintain their undefeated run at home.